3.25" h x 8.25" dia. This is one solid piece of wood. 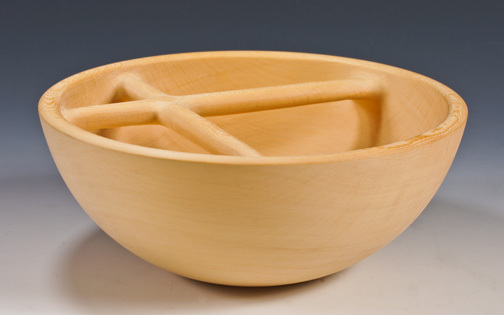 If you know that a bowl is turned while spinning on a lathe and tools are inserted to remove the interior, this bowl should have been impossible to make. But it was all turned, interior as well as exterior. A puzzle for everyone.